There’s satay, and then there’s Thai chicken satay! If you’ve never had the real stuff, then you’ll fall in love with the succulent taste of this satay recipe. 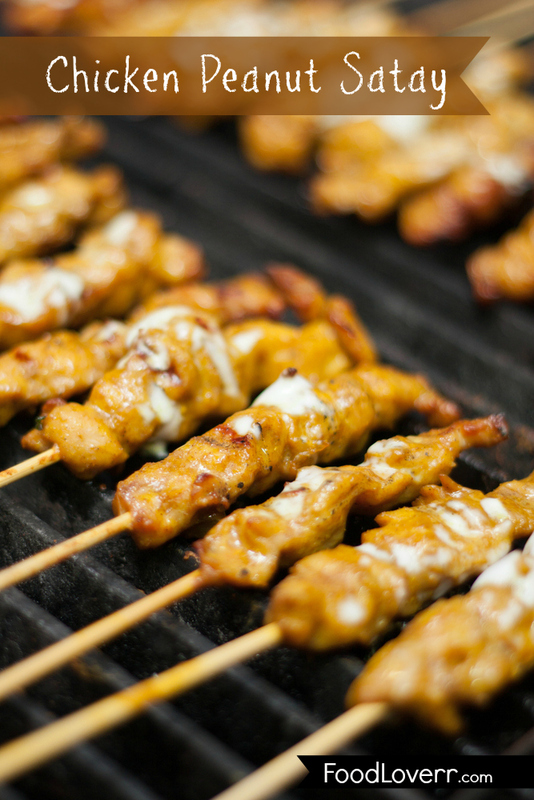 Strips of chicken (or beef) are marinated in a special Thai paste, then skewered and grilled on the BBQ or broiled in the oven. It is then served with home made peanut sauce for the ultimate taste sensation. Even your kids will love it and chicken satay also makes a great party food no matter what the occasion. Cut chicken into thin strips and place in a bowl. Serve with Thai jasmine rice and the Easy Satay Peanut Sauce (see below) for dipping. ENJOY! Place all ingredients in a blender or food processor. Blend or process until sauce is smooth. If you prefer a runnier peanut sauce, add a little more water or coconut milk. Do a taste test, adding more fish sauce (or soy sauce) if not salty enough, or more cayenne if not spicy enough. If too salty, add a squeeze of fresh lime juice. If you’d prefer it sweeter, add a little more sugar.